The above quoted clear expression seems to have its influence not only in the Glamour world but surely even the cricketers have jumped on the bandwagon of attractiveness and elegance. What a person chooses to wear, reflects his personality and interests. The cricketers definitely have more than their cricket to show, whatever they do (in context of fashion) becomes a style statement at the drop of a hat. With the increasing idiolization of cricketers these days, the fans have started imitating the trends that have been set up by their beloved players, which they follow faithfully. 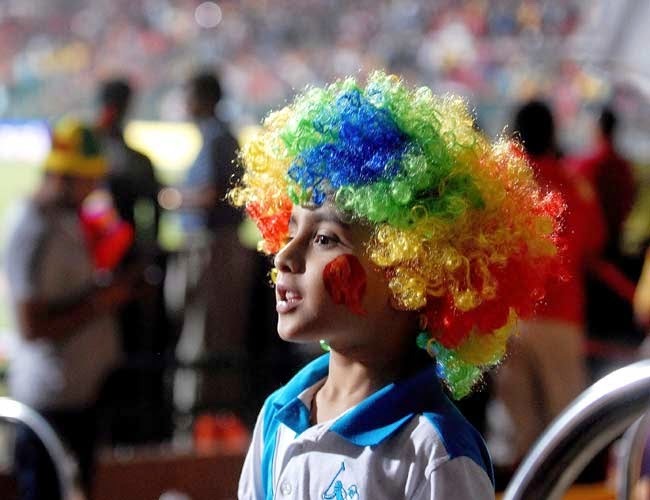 You wouldn’t miss to see people wearing colorful party wigs in the crowd if Lasith Malinga is on the field. His bleached hair, that shiny-glittery effect towards the tip of his curly hair wove around in ringlets has its own impact on the crowd. Another trend setter who is also known as the Man with a Moustache, Shikhar Dhawan, says his moustache is his pride. In one of his article in the GQ India Magazine he said a lot about his Moustache. Well, our West Indies players are no less when we talk about fashion. Sunil Narain is a trailblazer. The Narain’s Mohawk is one of it’s kind. 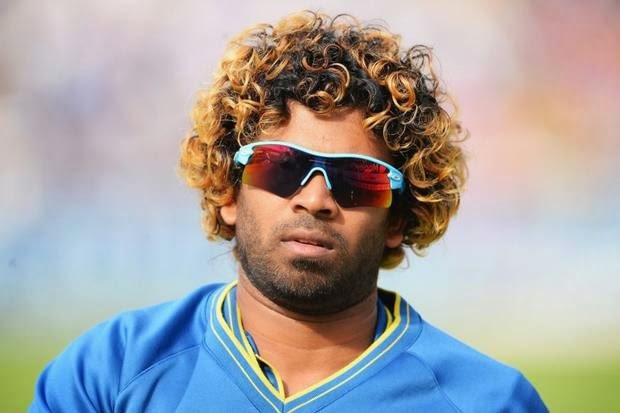 Apart from his brilliant magical spells on the pitch that swirls on a magic carpet before reaching the batsman’s bat, his hair style is mysteriously funky as it doesn’t really reflects his personality. He’s been known for his calm and composed, introvert kind of nature. But maybe, his hairstyle do the talking about his hidden unorthodox and radical side. West Indies players doing the Gangnam Style of dance. The West Indies players are also known for their dance moves. Let us not talk about fashion, when it doesn’t include the moves you’ve got to show the world. The Gangnam Style of dancing has really been praised by all the cricket fans across the globe. It has also been one of the famous act of entertainment by the cricketers apart from cricket. 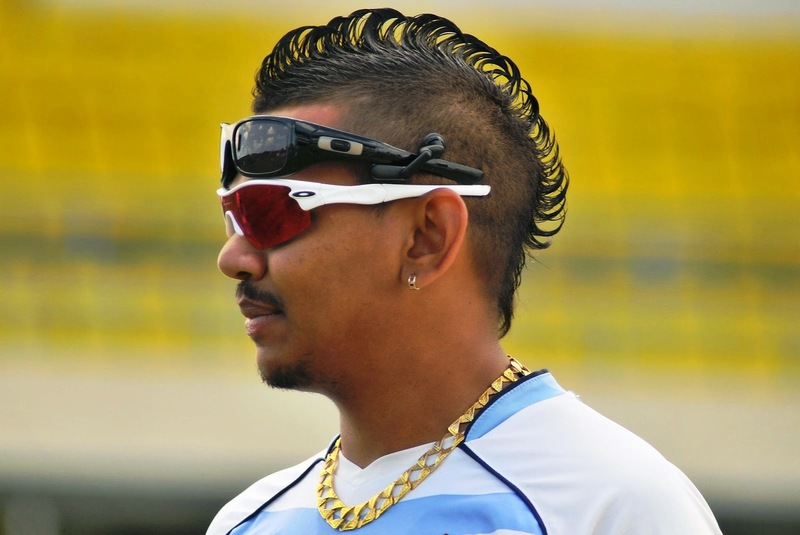 We have seen cricketers with astonishingly amazing coiffure, but another kind of love has been encountered and has become quite trendy among the cricketers. A permanent design/mark made on the skin by the process of pricking and ingraining an indelible pigment, a tattoo, that’s right! The increasing number of tattoo imprints has already set a trend among the cricketers. It definitely adds to the beauty of a cricketer, and is quite common among the younger players. A tattoo can be easily seen among the famous cricketers such as Mitchell Johnson, Virat Kohli, Lasith Malinga, Dale Steyn, Chris Gayle and many more. Because setting a trend through designs on your body is no less. Talking about fashion, and not revealing our cricketers’ taste would not sound fair. Our men in jersey on the field can take your heart away, off the field all dressed up neatly in their Tux. Infact, Virat Kohli has been listed among the top 10 Best Dressed International Men. The taste in fashion is well put together by our stars, can be seen in the after match parties, press conferences, interviews and all related tags. Just like any other celebrity from the glamour industry, cricketers have gained female attention competitively. Cricketers have become more fashion conscious. 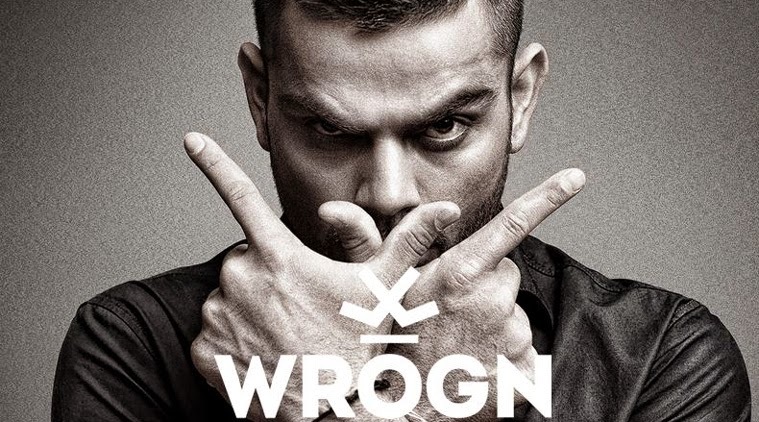 Virat Kohli’ endorsing his brand, WROGN. It won’t surprise you if I say that our very favourite players have come up with their own fashion brands. Yes, Brett Lee has worked before joining the Australian team as a salesman with Barclays Menswear. Now he has also opened his own clothing line. Also, recently Virat Kohli launched his new fashion brand, WROGN, exclusively available on Myntra.com the online fashion brand website in India. Also with the help of advertisement industry cricketers have gained popularity like an epidemic. Our players have not only impressed us with their cricket, but also have won our hearts fashion wise. Fashion has really been impactful and eye-catching. Cricket is not just a game , it is religion that people follow. Cricket is another world , which we live in and will die for. After all our players make us skip our heart beat.